Most edible and ornamental plants are susceptible to aphids. These insects reproduce very quickly, sucking the juices out of the leaves and causing the plants to yellow. If left unaddressed, they can kill the plant. Jet affected plants with water to remove the aphids and then carefully swab affected areas of plants with a cotton swab soaked with rubbing alcohol. 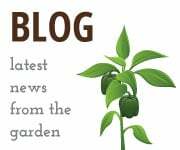 Introducing lady bugs and green lacewings can help. As a last resort, use Safer Insect Killing Soap. The so-called “cole crops,” such as broccoli, Brussels sprouts, cabbage, cauliflower, kale, and collards. These worms eat holes in the affected crops, and if left unaddressed, they will eat leaves down to the stem. This eventually interrupts a plant’s photosynthesis, its ability to produce its own food. The best method is to handpick and smash worms and eggs. This is best done early in the morning when the worms are out in the open. As a preventive, apply diatomaceous earth around the plant. As a last resort, if the plant is infested with cabbage loopers, spray the plant with Bacillus thuringiensis, a natural and safe microbial pesticide. 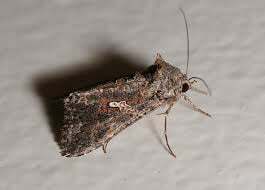 Note: For cabbage loopers, look for a mottled gray-brown moth (an adult cabbage looper) with silvery white spots on its wings. These moths lay their eggs, which become cabbage loopers, on the undersides of leaves. Catching the moth with a butterfly net, and keeping crops covered with a floating row cover during the early part of June may prevent the moth from laying eggs in crops at all. The best method is to handpick and smash worms and eggs. This is best done early in the morning when the worms are out in the open. As a preventive, apply diatomaceous earth around the plant. As a last resort, if the plant is infested with cabbage worms, spray the plant with Bacillus thuringiensis, a natural and safe microbial pesticide. 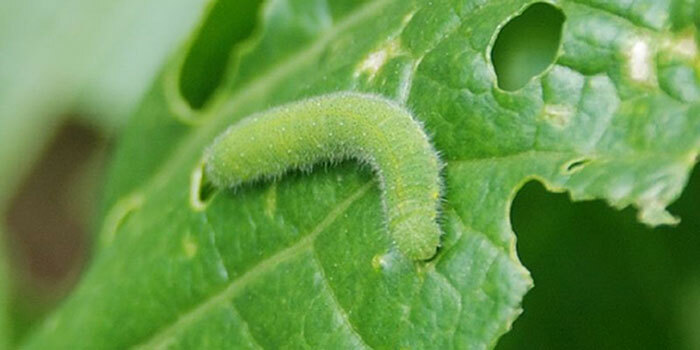 Note: Although the effects are the same as the cabbage looper, cabbage worms are much smaller, and can be hard to see. Scout carefully for these, as they can be missed. 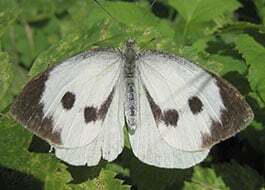 In addition, look for a white moth with a black/brown spot (an adult cabbage worm). These moths lay their eggs, which become cabbage worms, on the undersides of leaves. Catching the moth with a butterfly net, and keeping crops covered with a floating row cover during the early part of June may prevent the moth from laying eggs in crops at all. 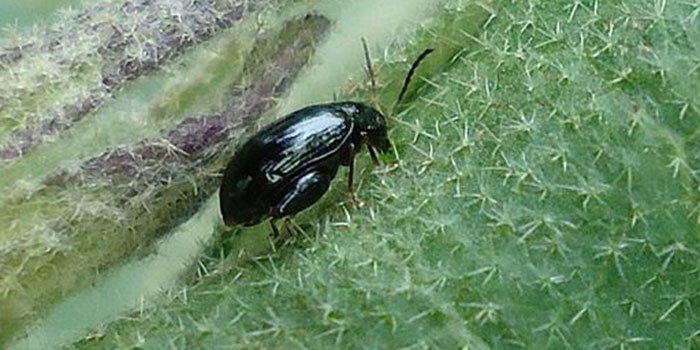 Flea beetles can attack most vegetables, especially radish, arugula, and such baby greens as newly planted or emerged kale and collards. These little beetles will eat small holes in leaves. Flea beetles are very active during drought conditions. They often dissipate after consistent rain. Additionally, regular moisture through a drip irrigation system will minimize their numbers. 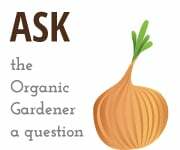 Some gardeners have had success spraying the affected crops with light garden clay (called kaolin clay and also found under the brand name Surround). However, this clay washes off with rain. Crop’s vines and trees, such as grapes, beans, edamame, and such ornamentals as roses, are susceptible to the Japanese beetle. Larvae (white grub) feed on crop’s roots. 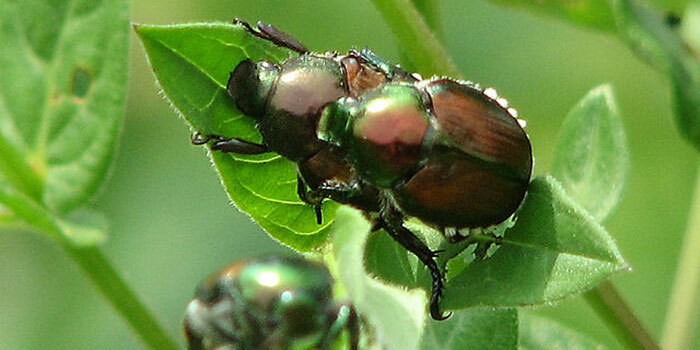 Beetles eat leaves, and sometimes can completely defoliate leaves. In the early morning when the beetle is especially lethargic, gardeners can handpick the beetles and throw them into a bucket of soapy water. 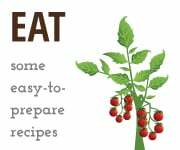 As the name suggests, tomatoes are susceptible to this insect. Look for stubby stems and large dark frass (hornworm feces). 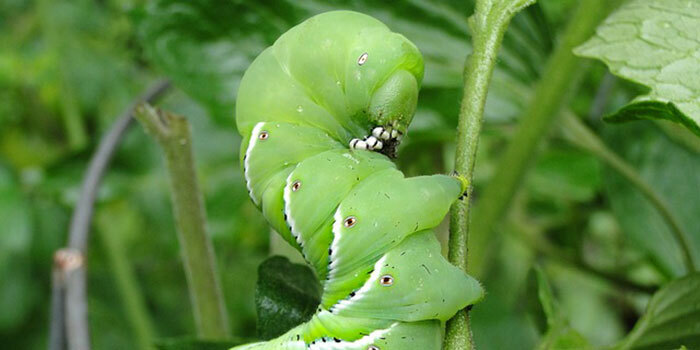 Tomato hornworms devour leaves, stems, and fruits. 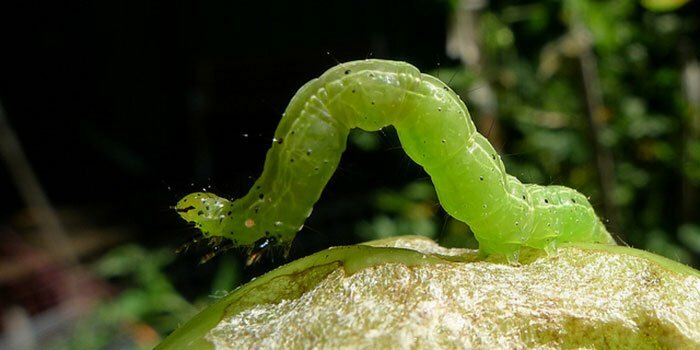 The best method is to handpick larvae (that bright green, hornworm) and destroy them by either placing them in a bowl of soapy water or squishing the insects. 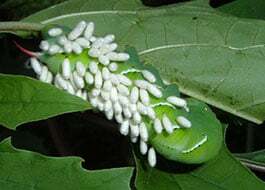 Note: But be alert to larvae with wasp eggs (see Beneficial Insects), which is a natural predator for the hornworm. Small-blossomed plants such as basil and cilantro actually attract this parasitic wasp.